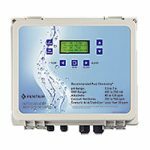 Pentair pool automation & control systems lets you put your swimming pool on auto-pilot. Pool systems management with push button simple remote controls. Easy-to-read digital displays with step-by-step menu driven instructions. Pentair pool automation & control systems make managing your swimming pool system an absolute breeze. Scheduling and controlling the operation of pool and spa equipment and related poolscape accessories is now blissfully automatic, simple and affordable. 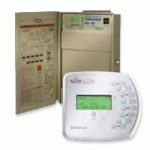 EasyTouch® Pool and Spa Control Systems eliminate the inconvenience of repeated trips to the equipment pad, memorizing operating sequences, opening and closing valves and resetting time clocks and thermostats. An IntelliTouch® Control System takes the work and worry out of scheduling and operating pool and spa heating, filtration and cleaning cycles. It also gives you one-touch control over additional heaters, valves, pool lights, landscape lights, water features and more. At the same time, an IntelliTouch system makes sure all your equipment operates at peak efficiency for minimum energy usage and cost. 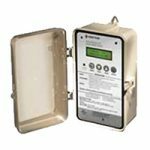 Remote Monitoring and Control system designed to get the most of the IntelliFlo variable speed pump, allowing remote management of the Pentair pool equipment through any smartphone or internet connection… from anywhere on Earth. ScreenLogic2 Interface allows you to control the key functions of your pool and spa using the IntelliTouch and EasyTouch control systems, using controllers such as an in-wall touchscreen, iPad, iPhone, iPod touch Mobile Digital Device, Android Device and PC or Mac computers. The SolarTouch Solar Control System offers full digital control for the most precise, efficient, swimming pool heating possible. 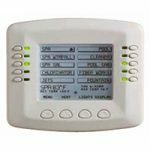 The digital thermostat is set with the touch of a button and will monitor the temperature of the pool water and solar collectors. SunTouch Control System is the easy way to keep your pool and spa clean, comfortable, and ready to enjoy. With the touch of a few buttons, you can quickly program your pool and spa filtration and heating cycles to fit your schedule. 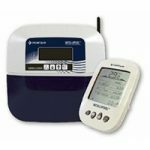 The IntelliChem Chemical Controller automatically monitors pool pH and sanitizing levels and delivers just the right amount of chemicals. 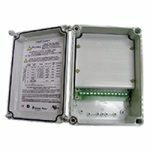 IntelliChem Chemical Controller can work independently or in conjunction with other Pentair automation products. 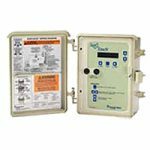 It’s built-in Langelier Saturation Index calculator lets pool owners know when the water is in or out of balance. 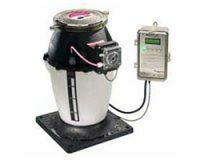 The IntelliComm® communication center provides automated control of the variable speed on the IntelliFlo® VS-3050 pump. By just connecting the input terminal connections to an automation system, a heater, a heat pump or any form of remote control, the four selectable speeds can be enabled. The speeds can each be individually defined by the customer in function of his specific application. protecting your pool equipment from corrosion caused when pH swings in and out of balance.